DDoS Attack Survival Guide: is your Business Prepared? Distributed Denial of Service (DDoS) can cripple a business’ internet and technology operations indefinitely. Even scarier, it’s almost impossible to prevent a DDoS attack from taking place. Mitigating their impact is all about response and recovery. A DDoS attack is a method used by hackers to make an online service or resource unavailable by overwhelming it with traffic from many different sources. Most attacks go like this: the attacker hacks and networks a large group of computers together (also known as “zombie computers”), usually via Trojan or other malware. Then, those zombie computers all contact the target site or network repeatedly. The huge surge in traffic either causes extremely slow loading times or shuts down the network entirely. The resulting downtime of servers or websites costs the average business over $2.5 million per attack. Why do they Happen to Small Businesses? When businesses are DDoSed, it’s usually a means of extortion. Attacks are typically followed up by a ransom note, in which the culprits demand that the victim pay money for the DDoS to stop. Note that this is different from ransomware, which actually holds the victim’s files hostage. A DDoS is more of a huge inconvenience rather than a serious threat to sensitive data. However, just because an individual DDoS is an inconvenience, doesn’t mean it can’t have serious consequences. When a business’ website is down, its operations are disturbed. This may cause a bit of chaos, which is the perfect time for hackers to strike with a more dangerous malware attack. Unfortunately, it’s not uncommon for businesses to be DDoSed by their competitors as a form of sabotage. These attacks are usually the work of cybercriminals hired from the dark web and are often untraceable as a result. Can they be Prevented and Mitgated? Unlike other cyberattacks, DDoS attacks don’t rely on the infiltration of a network. This makes them virtually impossible to prevent. What you can do, however, is prepare your business to respond and recover from an attack. 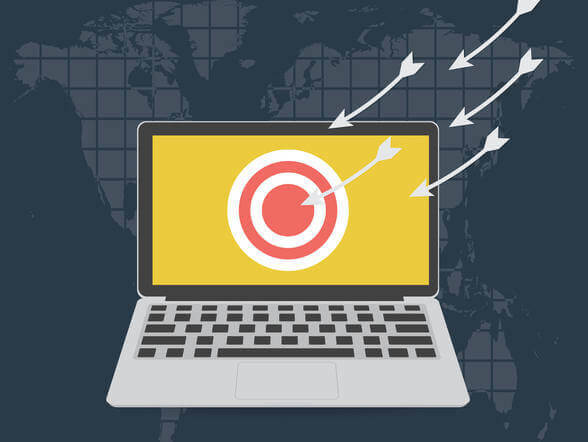 While it’s difficult for businesses with small budgets, the best way to mitigate a DDoS onslaught is to have data centers at more than one location. This way, an attack cannot take down the entire network, just one of them—similar to diversifying your stock portfolio. Hiring an IT company that offers managed services will provide your business with an added layer of cybersecurity, as well as a valuable resource to consult in the event of a disaster. It’s imperative to look for and address any signs of a data breach in the immediate aftermath of an attack, in case it was used as a distraction for hackers to infect your network with malware. If your website is down for an extended period of time, let your valued customers know what happened. Issue a press release or email blast in which you openly explain the circumstances of the attack. This will help your brand name maintain credibility. Any business that suffers a DDoS attack is bound to see at least a little bit of lost revenue. But if you incorporate DDoS mitigation into your IT disaster recovery plan, the consequences won’t be as dire. PreviousPrevious post:5 Signs your Business Phone System is Outdated NextNext post:What is Artificial Intelligence, and how can it be used in Business?